We all have limits. I know I have reached mine when I am ‘crying tired’. It was my mom who first used that phrase. It really is so descriptive. Yesterday I reached crying tired. I have been putting my all into learning my new job, where I have literally hit the ground running. Throw in horrific traffic problems where it is taking me up to an hour and a half in stop start traffic to travel a normal 20 minute journey. And then for a final flourish add in packing up my home. In addition to this I had reached the end of my ‘battery life’. Let me explain, I have pernicious anaemia. As I cannot absorb B12 through my tummy – and B12 is what oxygenates your blood – I have to have it injected on a regular basis. I compare myself to a battery operated toy. Twenty-four hours after receiving my injection I am at full battery capacity. The couple of days before it is due and I am really run down and tired. I am not looking for sympathy here, just explaining how I came to reach my limits. 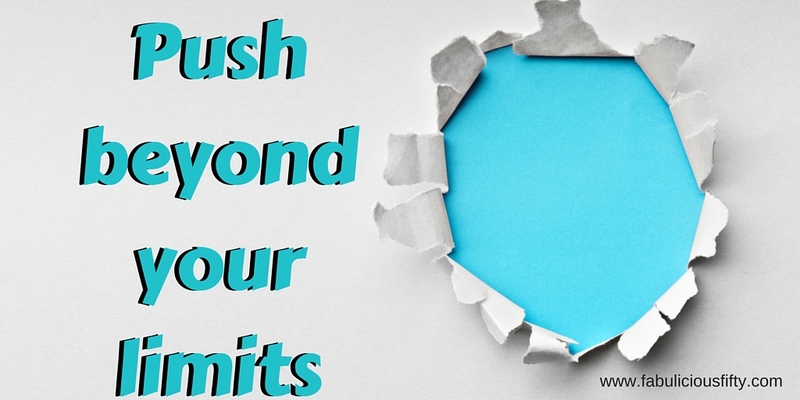 The only problem is that when you do reach your limits sometimes you have no option but to push through them. I had to get up early this morning to travel to work, put my brave face on and handle the job in front of me. I had to think up some solutions to my move which is was becoming a logistical nightmare and simply push on. Giving up isn’t an option. Today as I am reading the post I am calm. I pushed beyond my limits – not quite sure how, but I found that extra 10 percent needed to keep going. I had a great day and am now fully ‘charged’. Next time I get crying tired, I need to remember to keep pushing beyond my limits. Thanks for reading my belated Wednesday quotation. Please feel free to share. We really do live at a hectic pace. From when we get up in the morning it is go go go. We try to keep as productive as possible and pack as much as we can into the 24 hours that make up a day. If you know me you know I also subscribe to the philosophy of you only live once, and that can make me very tired. 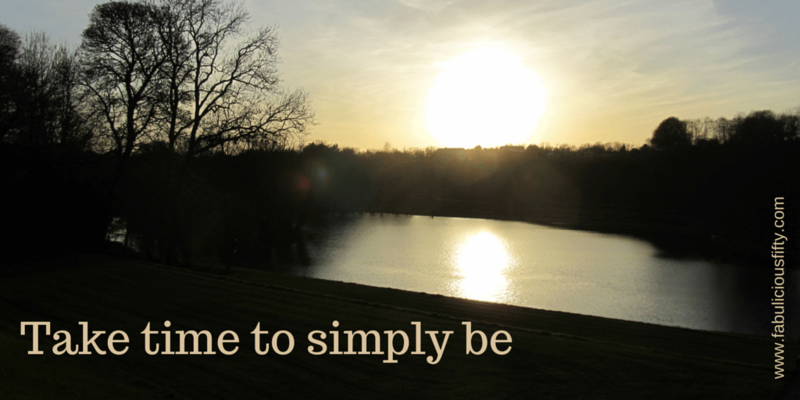 However sometimes we simply have to stop and be. Perhaps take an early night and go to bed with a good book, or even better get up early and simply sit with a cup of tea and be. Meditation comes in different forms for different people, and I am not suggesting that you sit down cross-legged and chant (although that can work too). Just simply take a minute, or preferably ten, to just be at one with yourself. Try and empty your mind and get yourself to a place of rest. Breathe and just be. I always start my quiet times with thanks. 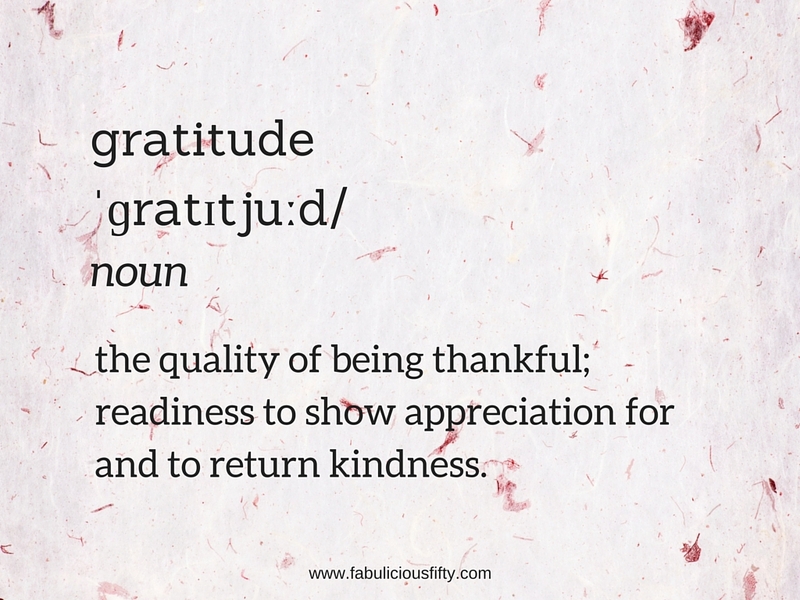 I run through my day, or couple of days and think of the things I am thankful for. My sister and niece for a roof over my head. The lovely welcome I have received at my new job. My little holiday in London coming up. Somehow the stresses of the day, the mad traffic and the worry recede when I simply take time to be. I hope you enjoyed today’s quote post. Too excited to think that my next post will be from London. You know when you get a point where you could either laugh or cry? Well I was at that point yesterday. As crying will give me panda eyes, I think I will just have to laugh. I love this quote which I heard years ago – I try to take one day at a time, but sometimes several attack me at once. 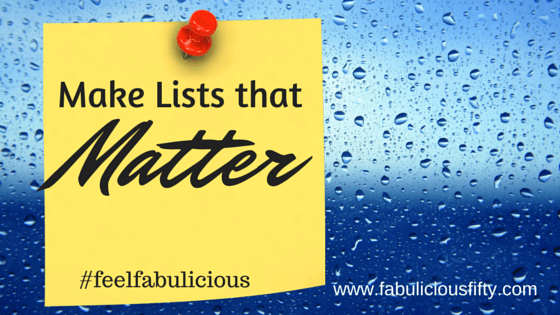 No matter how organised or controlled you get, and no matter how many lists you make, sometimes thing get simply overwhelming. For me it is a combination of finishing up a job that has been a huge part of my life for two and half years, packing up my home, trying to find a new home, and of course saying goodbye to my friends in Westport and to the town itself, a really special town that deserves the title of the best place to live in Ireland. I know I am not going far, but it is still quite a thing. Twenty plus boxes packed (so far …), and I am tripping over the empty boxes in the hall. My lists are out of control as I remember something else and dash to add it to the list only to find out that I have packed the kitchen pens. The paintbrushes and paint are packed but not the gleaming white canvasses which are sending out a siren call for colour. The bedroom looks like a clothes cannon has gone off as I pack into piles. One for the charity shop, one for my London holiday, one for the new job. And I must remember to leave out clothes to wear for the next few days. My work desk is still chaotic, but it tidier than it was a week ago and the drawers are empty so that is good. Imagine by tomorrow, this desk will be clear of clutter and awaiting a new owner. Daft.ie and Rent.ie are my new go to places for web news. House hunting is fun – for some people, but not for me! Now, I realise that this post is not a how to, or motivational, or particularly positive. 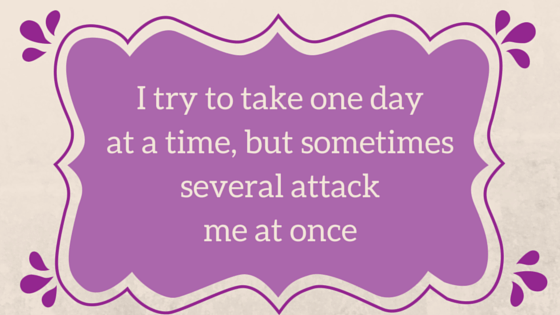 That is because some days you just have to accept that several days are attacking you at once. Thanks for reading and feel free to share the quote with others that are being attacked. I think it happens to all of us. I am a real list maker. I make them on yellow pads, on notebooks, on the back of envelopes and more recently on ColorNote and Out of Milk – two great phone apps that do seem to make my life simpler.It also means the lists come with me rather than staying on my desk or the kitchen table. All these methods work, but today I am reminding myself to make those lists count. There is great satisfaction in ticking things off! Packing for my temporary home at my sisters – not started but I need a list for that! Crafting and arty ideas (Pinterest) – important as I don’t want to forget those while all my stuff is packed up. I think it is really important to use lists, simply because I forget things. An idea pops into my head that I know will make a great blog post and then when I sit down to write – whoosh it is gone. I also tend to forget my phone charger when travelling and also my toothbrush. I won’t even consider that this is about getting older. 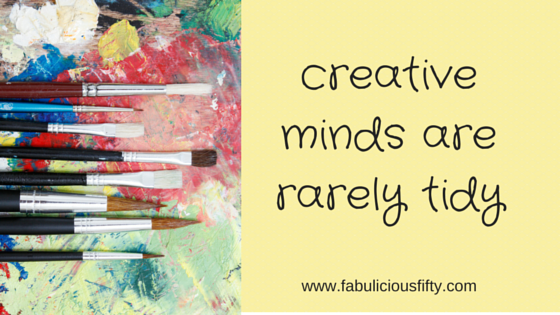 I go with the idea that my mind is simply overfull and things tend to fall out! Looking back on the list of lists, I think that I could aim to be a little better organised. Perhaps one place for making lists and do away with the numerous yellow notes and used envelopes. I would love to hear your list tips and techniques. Thanks for reading this Wednesday’s quotation post. 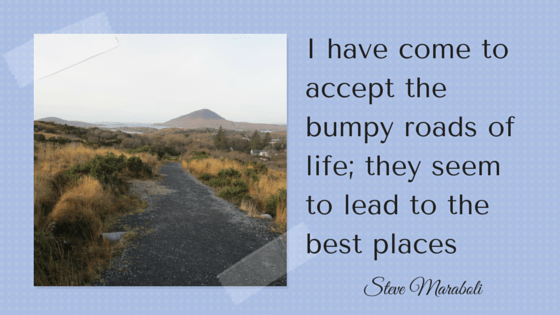 How bumpy roads can make me a better person? Today it was time to stop and think. To contemplate the changes in my life over the past few years, and now doubt the changes to come. When I am working on my Wednesday quote series, sometimes I start with a word, sometimes a picture and sometimes a quote, and then pull it all together. Today I started with this photo of a bumpy road that I often walked when I lived in Connemara. Not only did you have to watch out for stones, and potholes, but also for cow pats – which where possibly a more distressing hazard. When I came across this quote from author and motivational speaker Dr Steve Maraboli it all made sense. I seem to bump along, sometimes dodging the debris on the road and sometimes stepping into it, but somehow we get through it. At the end of this road pictured is a beautiful lake that I often sat beside. A little further is a fabulous waterfall. Most roads like that are a reflection of life. Right now I am in a bumpy patch, but I look forward to some tranquil time overlooking a beautiful lake soon. Thanks you to Dr Steve Maroboli for the inspiration – I will certainly be back to your blog for more. I love this quote, and quite often use it as an excuse for my clutter problem. Everyone who knows me personally is having a good giggle at this stage. I really am very untidy. I really do try, but somehow piles of papers and ‘stuff’ just happen. As I am facing packing up and moving again, I really have to start decluttering. This has had me thinking of why I am untidy, and why clutter happens. I am a creative person with a very active mind. I start something and then get excited about something else and move onto that. I am also, of course trying to pack so much into my day so it is quite common for me to have a painting project on the kitchen table, while cooking dinner, doing the laundry and tweeting. When the dinner is done – I move to the sitting room to eat and watch a bit of tv. I might have a writing or photography project I am working on while sofa sitting. Ah just remembered I have a card order to complete. Up the stairs I go to my craft room. Yes, you have guessed it – I have left a pile of untidy projects in my wake. Well, as I get ready to move house, I am making a determined effort to deal with the my clutter in an organised manner. Perhaps I am not too old to change? Change is something I have learnt to embrace. It isn’t easy, and I still find it a huge challenge, but I have learnt that change offers opportunity. This post is a very special Wednesday quotation as the quote in question aptly describes my life over the last few weeks. 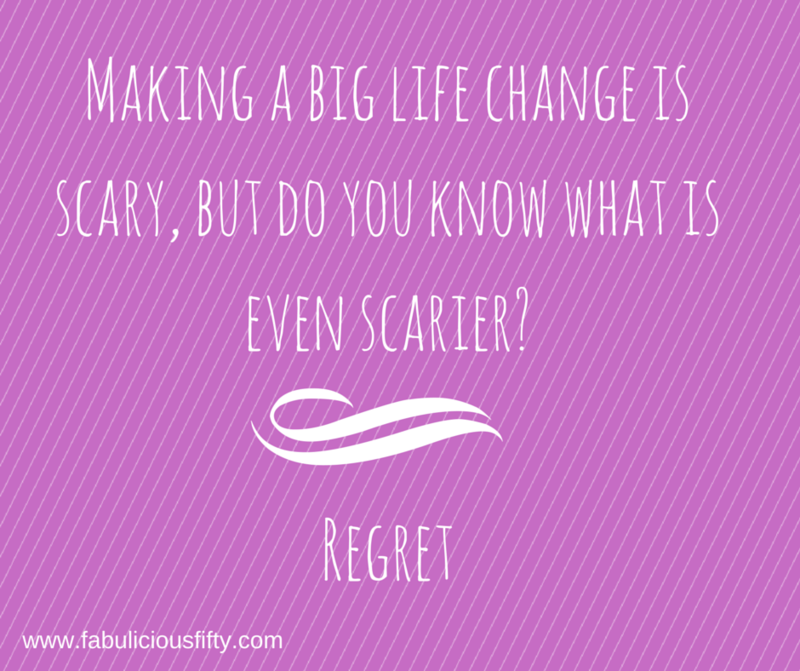 The lesson for me has been that ‘making big life changes is scary, but what is even scarier is regret. Let me back-track a little …. Three years ago I chose ‘change’ as my word of the year, and experienced some extreme changes. Over that year, I learnt to adapt and accept that things cannot stay the same if you want to grow. 2013 was the year I moved to Westport to take up a new job back in the corporate world. It has been a fabulous experience, and I have really loved the challenges that working in corporate finance gave me. I am proud of how much I have learnt, and extremely grateful to the Westport for welcoming me. Now it appears that I need another change in my life to continue my journey. I am delighted to share that I have a new job, with an exciting Irish company. I will be based back in Galway and am excited about the new marketing challenges ahead. It is scary, as I will be leaving the comfort of a job I know, great colleagues, and of course the wonderful friends I have made here. Westport is a town I have grown to love. I am not moving yet, as I like to take my change slowly. First the job, and then the move I, tell myself. On the plus side, I am delighted to be returning to beautiful Galway. My son, my sister, lots of friends old and new and of course the fabulous attractions all await just a county away. If you are facing change, be brave. I know it isn’t easy, and a little part of me is dreading it, but there is another part of me that is very excited. Years ago, after coming home from work a little stressed and worn down from office politics, I was presented with a ceramic duck. ‘Put this on your desk, and look at it every time you need to’. Wise words indeed. In the hustle and bustle of life, there are always going to be moments where you may be criticised, or when something happens that is nobodies fault, but you feel bad about it. I drop things – and after a long day at work, looking at a plate crashed on the floor, can really get me down. 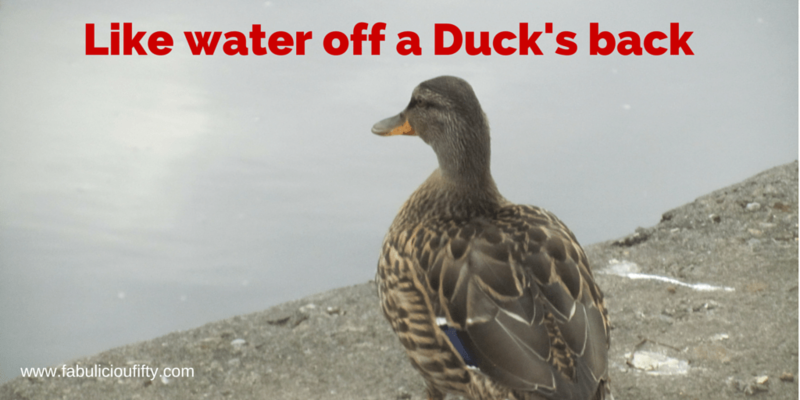 No matter what it is at work or home, big or small just remember, it is like water off a duck’s back. Let it slide right off. I love this photo of one of the Westport ducks along the river walk. I no longer have a ceramic duck on my desk – I gifted it to my colleagues, but I have the image in my head. Thanks for reading this Wednesday quote post. All my crafty friends will be giggling now, as crafters are well known for being covered in glitter, especially around Christmas. Glitter gets everywhere and you find yourself, your pillow or even your dinner having a little sparkle. That isn’t the sparkle I am talking about in my Wednesday quotation today. Each and everyone of us has something that makes us sparkle. It might be a new pair of shoes that makes us feel confident and pretty, or it might be the quiet knowledge that we have aced a problem at work. It could also be just knowing that you have friends that love and value you, or a brand new lipstick. Whatever it is – we sparkle in how we think and feel. The trick is that we shouldn’t loose our sparkle. And that we should share it, adding sparkle to others. 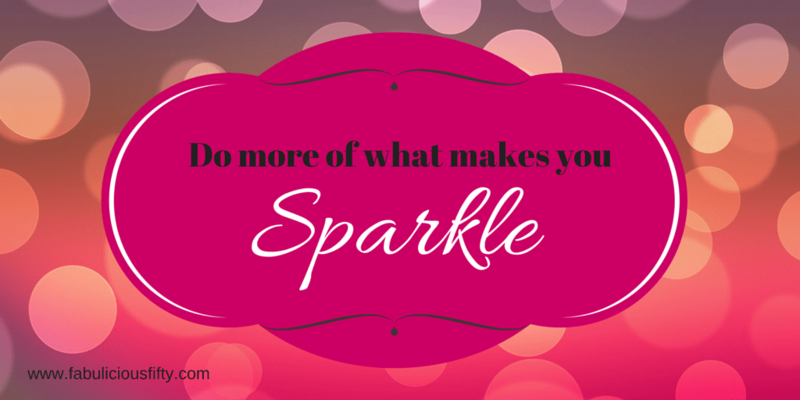 When I come across a random bit of glitter – and that could be anywhere from my cheek to my breakfast cereal, I remember to sparkle and to share it!